Vendors Moving On, It's Your Turn. Occupy, operate or develop this site, the choice is yours. This property in a profile and premium location presents numerous options for its next owner. Offering a multitude of business options, this is an opportunity you don't want to miss. 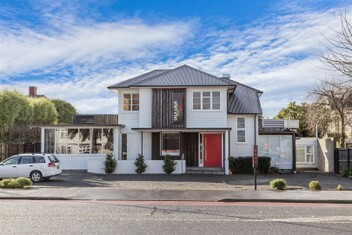 142 Papanui Road will be sold with vacant possession providing the astute purchaser with a multitude of options in one of Christchurch's most popular and high profile locations. - Contemporary, upmarket and versatile. - Land area: 607m2 approx. - Ground floor: 117m2 approx. - First floor: 66.1m2 approx. - Office/Storage shed: 18.6m2 approx. Call RJ Viloria 021 042 3051 or Harry Lim 021 402 242 for further details.